Many of the proposed measures of the Action Plan, however, have yet to be adopted, and the Commission is now committed to reviewing the effects of the 2006 Action Plan and making new proposals for a European energy efficiency strategy—expected toward late 2010 or early 2011. A proposal uncovered at the end of 2009 suggests that the Commission does not expect Europe to reach its 20 percent targets without binding energy saving targets and a renewed focus on buildings, transport, and energy supply sectors. The proposals also move away from promoting energy efficiency using environmental arguments to ones which focus more on job creation and the security of supply. This debate around binding energy saving targets will be the key discussion around the shape of a new Action Plan. Energy services: Directive 2006/32/EC10 to encourage energy efficiency through the development of a market for energy services and the delivery of energy efficiency programs and measures to end users.11 This Directive is also due to be reviewed will also over the course of this Commission. Transportation: Directive 2009/33/EC12 to promote and stimulate the development of a market for clean and energy-efficient vehicles.13 The Commission is expected to launch an initiative on energy efficient vehicles sometime in 2010. With respect to the energy supply sector, the European Strategic Energy Technology Plan (SET-Plan)16 includes within its scope a focus on smart grid development. The Commission is also examining how information technologies can improve the energy efficiency of a variety of sectors. The EU is devoting considerable financial resources to promoting new energy efficient technologies through research funding and the SET-Plan, and the use of structural funds and European Investment Bank money to fund actual projects. 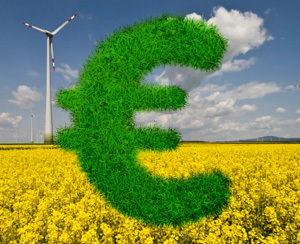 Therefore, while there has been, historically, a considerable focus on energy efficiency within the EU, the coming months should usher in a profound acceleration in activity, as policymakers consider binding energy saving targets and other measures that will create numerous opportunities for business and society at large.